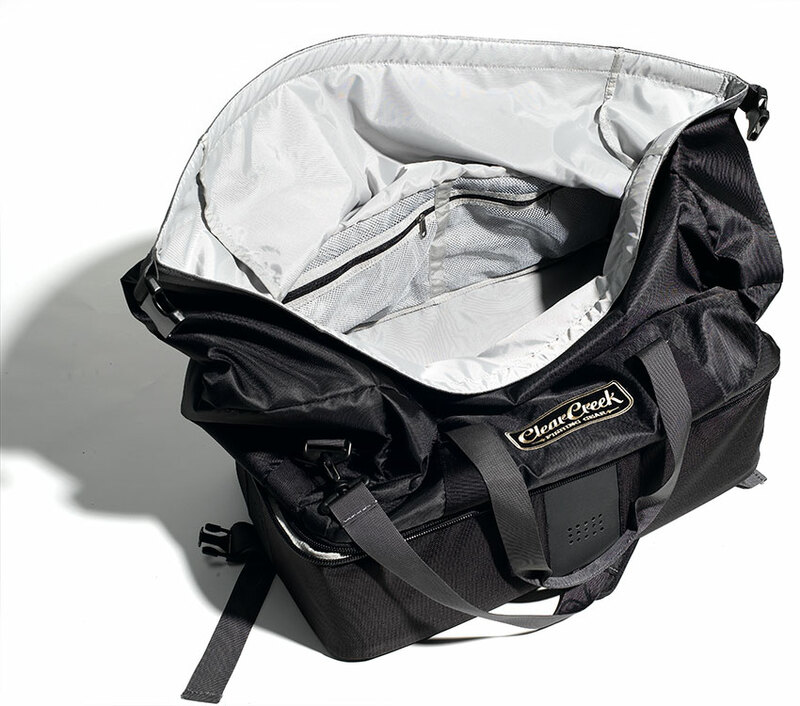 The ingenious split design of the Half Hitch wader duffel helps you tie up loose packing ends in a hurry. Stow damp waders and boots in the ventilated lower half, stash travel clothes and other necessities in the generous upper half. Then simply roll down the top, snap the side buckles and go.